Hello! Thank you all for your book recommendations on that last post, it looks like things may be slowing down a bit soon so I can wait to check them all out. After a lovely sleep in and lazy start to the morning I decided to jot down a bit of a to-do list and realised that it's about exactly the same length as it was a the beginning of last week, haha. Oh well, a lot of it is fun stuff and I really do count myself pretty lucky to be doing so much stuff that I love and find fulfilling. 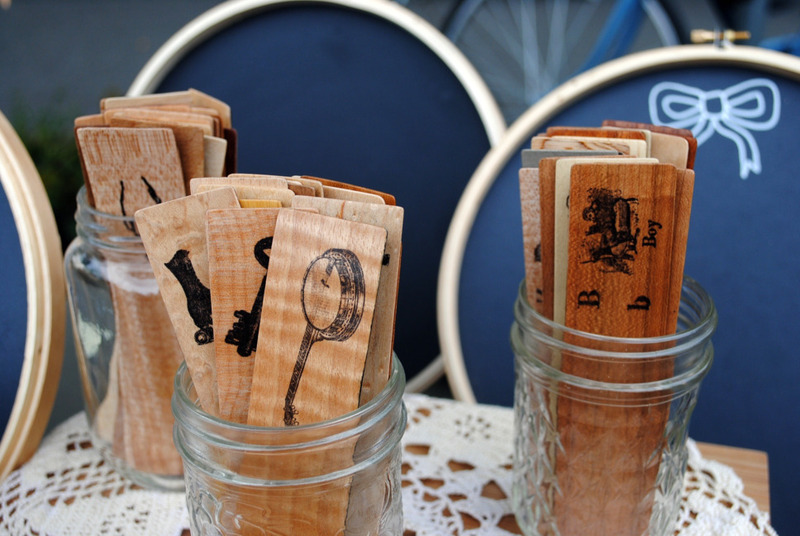 We had lots of fun at the Blim Market yesterday, and I even remembered to take some photos! I'm terrible at remembering to do so whenever we sell at markets, but when I found myself taking photos of some little bugs that came to visit I figured I should probably actually take some of the table, too! Car Free day is always great, even with the abundance of utilikilts and witch hats, I love the community feel and that pedestrians get to take over 15 or so blocks with market stalls, food carts and roller derby demonstrations. Alrighty, back to my list I go. But first, here's some links to get your week started off right! - There are many reasons I take issue with American Apparel, and this post on My Unnacceptable Body about their refusal to carry plus sizes because it is 'not their demographic' provides an excellent take down of this maddening company. - Thanks to Rhiannon for pointing out that Modcloth also has some super cute swim suits in a variety of sizes! - Kenzie has had me drooling over her blog lately with her mango popsicles and rhubarb soda. Rhubarb soda?? Basically my dream come true. - Jezebel has a poll going on what is going to be the next 'it' sweet. V. important (also v. funny). - A new mix! At last, I have a monday mixtape for you that is all about the cover. After listening to one of my all time favourite covers of the Neil Young song 'Birds' by Paul Weller (my secret boyfriend, despite the crazy hair and in my head he still looks like he did from when he was in The Jam. Seriously, that voice. Don't judge), I was inspired. Enjoy!